Oklahoma State University appears in our ranking of the Top 10 Master’s in Financial Planning Online Degree Programs. Since 2004, the William S. Spears School of Business has granted the Bachelor of Science in Business Administration with nine majors, including Accounting and Finance, for nearly 4,000 Oklahoma State University undergrads seeking data foresight for optimal enterprise decisions. Directed by Dr. Ken Eastman, the 120-credit plan builds financial reporting skills in Stillwater courses like Income Taxation and Banking at a 17:1 student-professor ratio. Available with a 4+1 Track, the Master of Science in Accounting led by Dr. Audrey Gramling immerses 150 post-grads in a 33-credit CPA sequence and Beta Alpha Psi membership. The Master of Science in Quantitative Financial Economics offers a 33-credit, STEM-designed major outlined by Dr. Louis Piccotti for custom Financial Engineering, Risk Management, and Investment Management tracks. Placed 30th by the U.S. News & World Report, the Full-Time MBA headed by Dr. Todd Arnold lets 42-credit Accounting Concentration students enter the Big XII Case Competition, summer in South Korea, intern with Barclays Capital, and more. Through the Great Plains Interactive Distance Education Alliance (Great Plains IDEA), aspiring financial planners can earn the 3-year Master of Science in Family Financial Planning. Each Fall, cohorts of 5-10 also enter the Ph.D. in Business Administration with Finance or Accounting Concentrations for advanced Riata Center dissertation work. Oklahoma State University originated on December 24, 1890, when the Territorial Legislature allocated Morrill Act funds to erect the Oklahoma Agricultural & Mechanical College. The next Christmas season, Robert J. Barker welcomed an inaugural coed class of 45 to Old Central Hall. Called the “Castle of the Prairies,” A&M hired its first business teacher, Ms. Georgina Holt, in 1898. By 1922, it formally organized the School of Commerce and Marketing. Selected for the Navy’s Electronics Training Program during World War II, A&M prospered during Henry G. Bennett’s 22-year tenure. On May 15, 1957, Governor Raymond Gary renamed it the Oklahoma State University of Agricultural and Applied Sciences before it was shortened in 1980. Its 1,489-acre Stillwater campus became the flagship of the six-branch OSU System by 1988. One decade later, OSU was crowned Oklahoma’s most wired college for technological advancement. Budgeting $1.32 billion, Oklahoma State University now serves 24,387 Cowboys/girls from 88 countries online and on-site with 400+ clubs like Financial Management Association. The U.S. News & World Report ranked Oklahoma State the 157th best national university, 80th top public college, and 95th best business school. On Niche, OSU boasts America’s 42nd best big campus, 81st best student life, 86th top business courses, and 97th best professors. Times Higher Education featured Oklahoma State University 367th overall. Forbes picked OSU as the 300th top university and 140th best value with the 145th best research productivity. Money magazine proclaimed Oklahoma State the 254th best buy for a $349,000 PayScale ROI. Student Loan Hero named OSU fifth for avoiding massive B-school debt. The Public Accounting Report distinguished Oklahoma State University for the 44th best master’s. In 2013, the Spears School of Business finished 19th globally at the Rotman International Trading Competition. WalletHub recognized OSU for the country’s 236th best financing, 352nd top education outcomes, and 423rd best experience too. On June 1, 2020, Oklahoma State University will submit a Fifth-Year Interim Report to the Higher Learning Commission of the North Central Association (HLC-NCA) for continuing the Level VI accreditation satisfactorily through 2025 under its 18th president, Dr. V. Burns Hargis, who received the Arthritis Foundation’s Tribute to Excellence Award. Based 759 miles northeast via Interstate 44 in Chicago, this mega 19-state Midwest accreditor is authorized by the U.S. Education Department to conduct assurance reviews on OSU’s 102 baccalaureate, 77 master’s, 46 doctoral, and 32 certificate offerings. Additionally, the elite Association to Advance Collegiate Schools of Business (AACSB) reaffirmed the Spears School on March 28, 2014. Starting at Oklahoma State University is deemed “moderately difficult” by Peterson’s since 10,123 of the 13,635 Fall 2017 applicants were triumphant for only 74 percent acceptance. First-year Cowboys/girls wrangling the B.S. in Business Administration must culminate an accredited high school’s 15-unit core. Assured admission requires ranking in the top one-third with unweighted GPAs over 3.0. Freshmen traditionally need 21 ACT and 1060 SAT scores or higher. Spears School transfers with 24-59 college credits must exceed the 2.25 GPA minimum. Grade requirements drop to 2.0 for associate degree graduates though. The Watson Graduate School stipulates four-year bachelor’s completion with overall GPAs above 3.0. MSQFE cohorts should have Statistics, Mathematics, Physics, and Engineering prerequisites. The M.S. in Accounting offers GMAT waivers for upper-division GPAs of 3.5 with no “C” grades. Otherwise, 550 or better on the Graduate Management Admission Test is mandated. Please note that the Ph.D. in Accounting or Finance raises the GMAT limit to 650 with a relevant master’s. 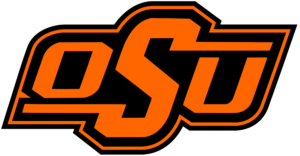 Oklahoma State University has rolling freshmen admission with the November 1st Early Opportunity deadline and February 1st Priority Scholarship deadline. Accounting or Finance B.S. Major transfers have until July 1st for Fall or December 1st for Spring starts. Non-U.S. residents should apply before June 1st or November 1st. The Watson School MBA has an April 15th priority date. Ph.D. in Business Administration candidates are reviewed until February 1st yearly. Prospective Cowboys/girls log into the OSU Application portal online for $50 ($75 if foreign). Official transcripts are mailed to 219 Student Union in Stillwater, OK 74078. Electronic tests are filed with codes 3424 (ACT), 6546 (SAT), or V0W-5V-16 (GMAT). Don’t forget the leadership résumé, three recommendations, 500-word purpose statement, research sample, and day-long interview. Please contact (800) 233-5019 or admissions@okstate.edu to inquire more. For 2018-19, Oklahoma State University is charging in-state B.S. in Business Administration majors $4,509 per term. Non-resident undergrad tuition is $12,269 each semester. Studying Accounting or Finance part-time incurs $205 to $695 per credit. Mandatory fees total $122 per term. Living at the Stillwater campus’ dorms like Morsani-Smith Hall adds $3,480 to $4,050 for housing. Platinum meal plans for North Dining Hall are $2,175 extra. OSU budgets $1,270 for textbooks and $4,700 for miscellaneous. Annual bachelor’s attendance equals around $23,648 in-state and $38,686 out-of-state. The Watson Graduate School bills Oklahomans $5,160 and non-residents $15,000 yearly full-time. Master of Science in Quantitative Financial Economics majors spend $436 in-state and $1,082 out-of-state per credit. Online MBA courses cost $1,478 to $2,192 apiece. According to the NCES College Navigator, the Office of Scholarships & Financial Aid gifts $135.35 million overall for 73 percent of OSU Cowboys/girls to claim median assistance of $8,761. Business funds include the Burl Austin Accounting Scholarship, Cole & Reed Scholarship, ConocoPhillips Legacy Scholarship, Field Family Scholarship, Jacob Millington Scholarship, Glenn Sartain Memorial Scholarship, Sterling Wetzel Scholarship, S.D. Williams Finance Scholarship, Hensley Family Internship Scholarship, and Phillips 66 Scholarship. The Spears Scholar Leader Program selects high-achieving freshmen exceeding the 3.2 GPA and 25 ACT requirement. Accounting MBA cohorts apply for the $2,000 CIE Scholars Program until November 10th yearly. Since 1969, the American Institute of CPAs has awarded the $5,000 Minority Accounting Scholarship. FAFSA applications coded 003170 provide Federal Pell Grant, FSEOG Grant, Work-Study, and Direct Loan consideration. The Oklahoma Promise Program aids undergrads whose families earn $55,000 or less. Other state-based aid like the Oklahoma Tuition Grant, Cowboy Covenant, Opportunity Grant, Heartland Scholarship, and National Guard Tuition Waiver also help. Continue reading about Oklahoma State University at the William S. Spears School of Business website.